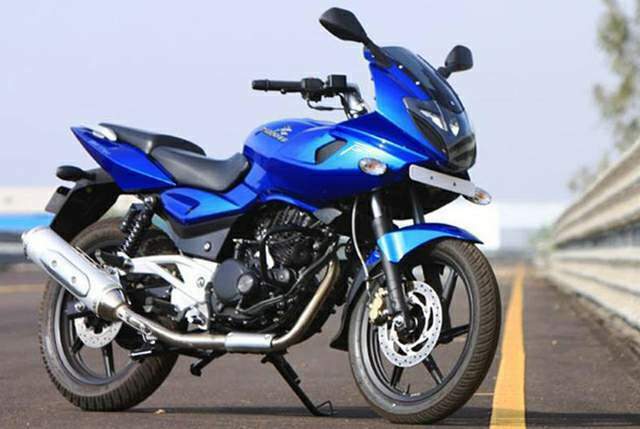 Adopting an aggressive stance in the crowded consumer motorcycle market, Bajaj introduced another surprise with the announcement of a brand new Pulsar model – the Pulsar 220F DTS-i. Billed as ‘the Fastest Indian’, it looks as though Bajaj are looking to capture drivers’ imaginations with high-spec technology and blistering performance. Let’s take a closer look at this exciting new offering from the tried-and-trusted manufacturer. 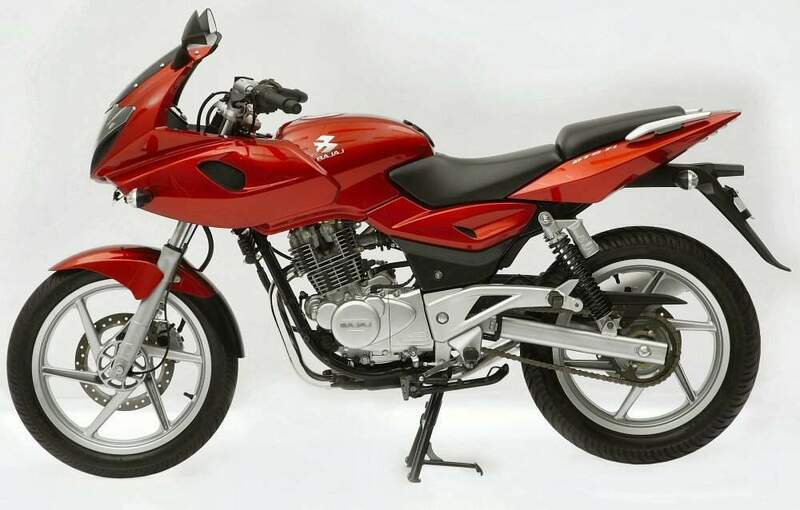 The Pulsar 220F aims to live up to its bold and aggressive stance in terms of design. The all-black theme dominates its body, including swing-arms, suspension, wheels and engine. The original Pulsar 220 was Bajaj’s first bike to feature a front fairing and the bold styling of an athletic sports bike, and this new update maintains this edgy aesthetic. The brake calipers now feature a classy gold-plating finish. The Pulsar now features very stylish looking LED taillights. Its new split seat features a split grab rail for the pillion rider. In keeping with the other revamped models released in its new generation of bikes, Bajaj have upgraded the 220F’s instrument console. Its all-digital panel features clear, bright digital displays for its speedometer, neutral blinker, trip meter, tachometer, low battery measure and fuel gauge. The enlarged tachometer is the dominant instrument, positioned in the middle of the console, with a fully digital display to the right and the LEDs on the left. The Pulsar 220F is equipped with a meaty 220c, 4-stroke, air/oil-cooled DTSi engine. The engine offers a maximum power of 20.8 BHP at 8500 rpm, and a maximum torque of 19.12 NM at 7000 rpm. Its patented TRICS 3 technology and smart CDI system improve the bike’s ignition timing and provide a smoother delivery of power, as well as temperature-based ignition mapping, using the largest venturi carburettor yet seen on a bike for the Indian market. The bike’s acceleration is generally very good, shooting from 0 to 60 kmph in a blistering 4.1 seconds, and 0 to 100 in 9.5 seconds – these are great numbers. The bike is fitted with Bajaj’s patented ExhausTEC (Torque Expansion Chamber) system, which gives the vehicle a higher rate of pickup at lower rpms, reducing the need to shift gears frequently to maintain acceleration. The smart tech also provides better engine torque at lower rpms, and the result is plenty of latent engine power, no matter what stage of riding you are at. The bike’s pull is effortless, regardless of the load conditions heaped upon it. Built to be one of Bajaj’s fastest bikes, it offers a top speed of 144 kmph. Bajaj Pulsar 200F boasts plenty of smart technology that, according Bajaj, should guarantee improved fuel efficiency and reduced consumption. The bike delivers an average efficiency of 44 km/l, which is a respectable return for a bike in this class, although slightly lower than most budget buyers would like. The fuel tank has a capacity of 15 litres – 3.2 litres held in reserve, with 2.2 litres usable. Bajaj Pulsar 220F is a comfortable ride for drivers of all types. The bike’s seat is surprisingly firm and well padded, making it more comfortable than its severe lines might first suggest. It features a largely upright seat that is suitable for city driving and a number of ergonomic features such as well-positioned footrests. Worthy of mention are the Pulsar’s capable illumination systems, which help to improve the bike’s safety. It features one of the few projector headlamps on a bike for the Indian market. In addition, it comes fitted with exceptionally powerful twin high-wattage projector headlamp (55W; which give incisive, strong beams providing a broad lighting spread. The bike’s headlamp is powered by a 12V full direct current, so it ensures strong illumination at every speed. Bajaj Pulsar 220F’s suspension is recognizable – it’s the same that we’ve seen on other Bajaj models, but that just means that Bajaj have had time to refine it. The bike’s front sports 37mm telescopic front fork suspension with anti-friction bush. At the rear, it has a nitrox mono-shock absorber that is five-way adjustable. The suspension of Pulsar 220F is strong, but the level of vibration felt at higher speeds when moving over uneven surfaces is greater than you would wish. Bajaj Pulsar 220F’s brakes are a well-refined feature. It is fitted with a 260 mm ventilated disc brake at the front, and a 230 mm ventilated disc brake at the rear – it’s one of the few bikes on the market to be fitted with front and rear disc brakes as standard. The Pulsar 220F’s engine is one of its best features: powerful yet refined. At higher revs the bike does produce quite a lot of unpleasant noise. The bike’s lightweight chassis and aerodynamic form mean that it moves smoothly and handles well, with no overcompensation when leaning. The bike is equipped with numerous sensors that halt the engine instantly if the bike bends through more than 60 degrees, helping to prevent critical accidents.